Another hot day with a promise for a chill-out in the end of the day - this was the forecast for Serbia for Wednesday, July 20. And it is correct, excluding a tiny detail that the day will be especially hot for the journalists in the country. Yet on Monday, in some local media, information emerged that two months after Ratko Mladic's arrest, the authorities had caught the last fugitive, sought by the International Criminal Tribunal for former Yugoslavia - Goran Hadzic. 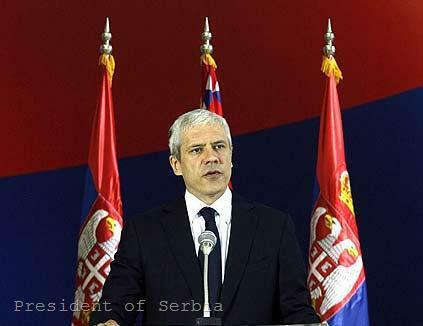 Then Ivica Dacic, the Serb Minister of the Interior, called such information speculations and the passions resided. This morning, though, the news about Hadzic's arrest proved to be true and even the skeptics believed it the minute President Boris Tadic called an extraordinary news conference at 11 o'clock local time. During the news conference he only confirmed the news, which in the meantime travelled around world media - Hadzic had been arrested this morning (July 20) in a forest near the village of Krushedol, the mountain Frushka forest, known as the Aton of Serbia. Tadic was quick to explain that Hadzic was not captured neither in the monastery nearby, nor in the barracks - both not far from the place where he was arrested. The President refused to elaborate on the operation. In his words, Hadzic's arrest was not the result of any form of pressure on Serbia but was done "for the citizens, for the victims and for the peace in the region". Tadic added that he did not anticipate any reactions from Brussels because it was clear to everybody that after Mladic's arrest, the capturing of Hadzic was the next logical step. He rejected the hints that today's arrest was a part of a deal, concluded between Belgrade and Brussels to ensure Serbia's receiving a candidate status for the EU. "I do not expect anything in particular from the European Union authorities. This was our duty and we have done it", were Tadic's words. In a joint message to the media, European Union President, European Commission President and the Union's High Representative on foreign affairs described the arrest of Hadzic as a "a positive signal to the European Union and to Serbia's neighbours, but most of all on the rule of law in Serbia itself". "The Serbian nation is in the process of confronting the past and turning the page to a better European future", the message says, adding that Brussels expects Hadzic to be handed over immediately to the tribunal in the Hague. According to Serbian media Hadzic is already in detention in Belgrade and until his deportation to the Hague, the authorities will use the same procedure they used when Mladic was captured. First identification, then getting acquainted with the procedure and handing the indictment, and finally a decision to hand him over to the Hague. 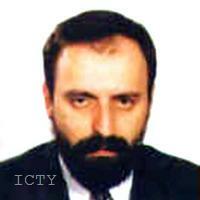 Goran Hadzic is an ethnic Serb, born in 1958 in Vinkovici, Croatia. Before the conflict, caused by Croatia's separation from former Yugoslavia, Hadzic worked in the warehouse of VUPIK factory in Pacetin, the municipality of Vukovar, Croatia. 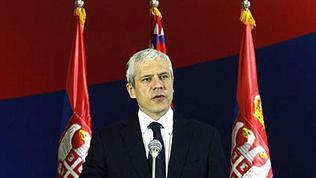 He was a member, when young, of the League of Communists and later joined the Serb Democratic Party. In June 1990 he was elected a chairman of the party in Vukovar. Later he becomes a leader of the Serbian National Council, a political forum of the Serbs in the area of Slavonia, Baranja and West Srem. On June 25 1991 the Council is transformed into a government of the so-called "Serb autonomous region Slavonia, Baranja and West Srem". Hadzic is appointed president of the newly formed government of the self-declared autonomous region. On February 26, 1992, Goran Hadzic is elected president of the Serb Republic of Krajna and remains in this position by December 1993. 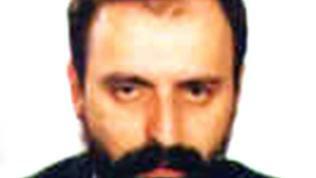 According to the war tribunal's indictment in the Hague, Goran Hadzic will answer on 14 counts for crimes committed in the period June 25 1991 - December 1993. The counts are for war crimes and crimes against humanity, including persecution, extermination, torture, deportation and destruction in Croatia. The prosecution also points out that Hadzic is responsible for the deportation of 20,000 people from Vukovar after it was occupied by the Serb forces. In the indictment it is written that the purpose of the actions, in which Goran Hadzic consciously took part, was the forceful deportation of the majority of Croats and non-Serbs from one third of Croatia's territory so that it could be annexed to Serbia.